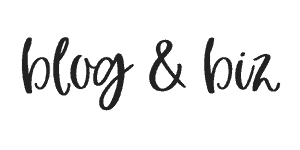 When I first started blogging, I would just write my post, hit publish, and be done. Not so much anymore. Now I have a whole list of things that must be done before and after publishing each blog post. Things to get your post noticed on your blog, on the internet, and on social media. 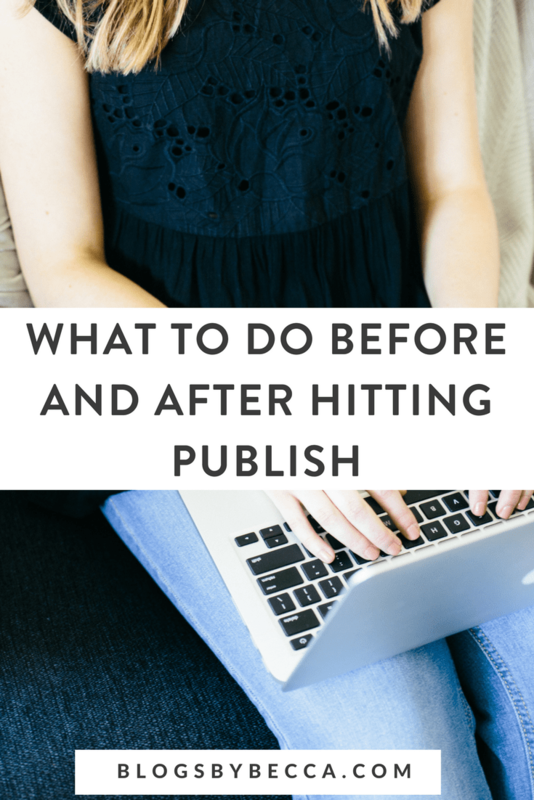 What to do before and after publishing your blog post is a major topic. But this list will help. Do not consider your job done once you write the great content. Not that great content isn't important. Obviously writing killer content is the first and best thing you can and should do. But, assuming you've got that taken care of, these are the other things you should do to make sure that your blog post is optimized for success. This post contains affilliate links, which means that if you click a link and make a purchase, I may receive a small commission at no extra cost to you. I appreciate your support. Once you write your content, there's a lot to do before you can hit publish. There's a lot that goes into a blog post, besides the blog post. 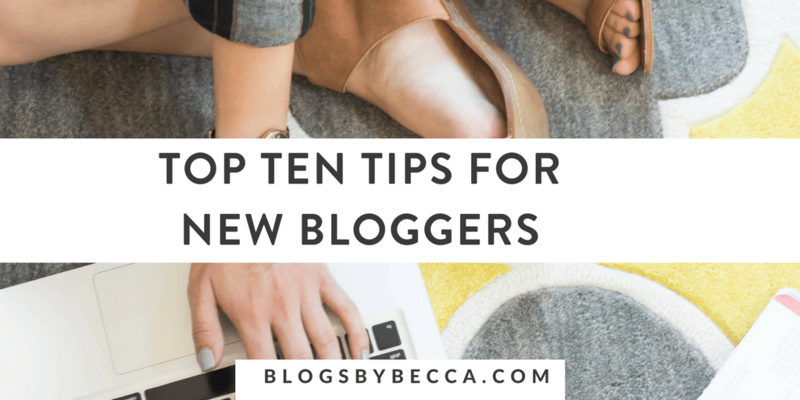 Knowing how to promote your blog includes knowing what to do BEFORE you hit publish. I use Grammarly to proofread all my posts. I love this tool. It catches everything, from dumb typos to advanced grammatical mistakes. You can install an extension on Chrome that will catch things automatically for you. Or you can copy-paste your post into the Grammarly site and proofread it that way. Either way, it's a win. Make sure to set your categories and tags. This is a simple step, but it'll be a nightmare later on if you realize 100 posts later that you should have been categorizing everything. So do it on every post and save yourself a headache. 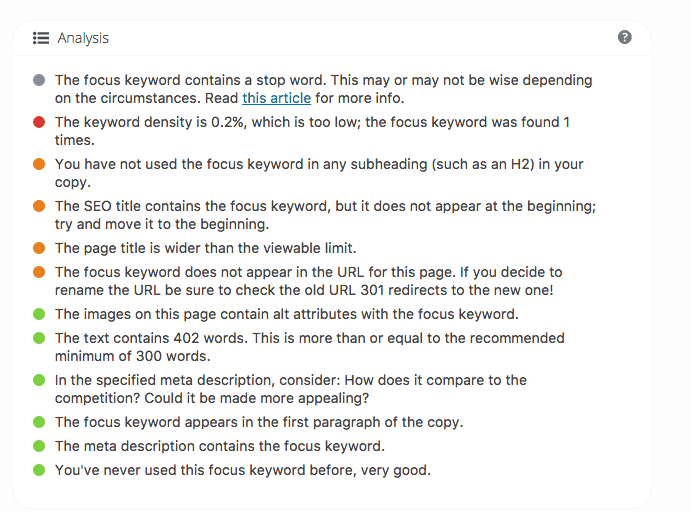 You should be using the (free) Yoast SEO plugin. It's the easiest way to SEO-optimize your site, without knowing anything about SEO. Aside from doing a bunch of stuff on the backend, it will also tell you in each post what needs to be done to make it more SEO-friendly. So you can fix it in advance. Create a featured image for your post, at the very least. And maybe some images to go in the post too, if appropriate. I like to use branded featured images, rather than just random stock photos. I create these on Canva, which is free, easy to use, and basically my soulmate. If you know how to use Photoshop, you could of course use that. You also need to promote your post on your social media networks (more on that below). So create images using the same tools I just mentioned. Branded images are a good thing. Every blog post should have a content upgrade. Ideally, it should be an individualized one, specifically for that blog post. But if not, one of your more generic ones will do. But make sure that you're offering it in your actual blog post (more on how to do this below). I use Beacon or Apple Pages to create my content upgrades. Both are easy use to use and the PDFs look great. For examples, check out my resource library (you can get the password right here). You can also use Photoshop, Canva, or Google Docs. To insert my content upgrades into my blog posts, I use Leadboxes, which are a feature of Leadpages. After I create the content upgrade (see above), I create a Leadbox, which is basically a pop-up connected to a button. The pop-up offers the content upgrade. Then I link it to an opt-in image in a blog post. So when someone clicks it, they'll get the pop-up. When they insert their info, ConvertKit will automatically send them the PDF (more on this below). It works beautifully, and I use it in pretty much every blog post. To integrate your Leadbox with ConvertKit, you need to create a form in ConvertKit. This creates a sign-up form, but you don't use the actual form, you just use the integration feature. You hook the form up with your Leadbox, then you tell ConvertKit that anyone who signs up for that form should get an email attaching your content upgrade. Upload your content upgrade to ConvertKit, and you're all set. Always go look at the post and make sure that everything looks the way it should. Sometimes something just gets lost in translation. Better to realize it now than a month from now. 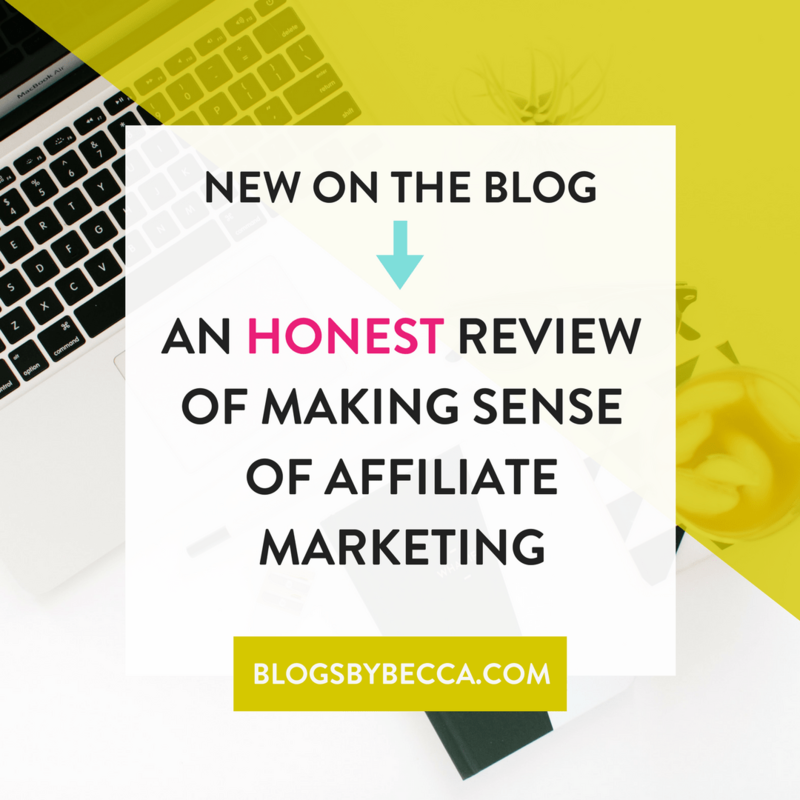 Knowing how to promote your blog definitely involves knowing what to do after you hit publish. If you have a resource library (which you should), you'll want to upload your new content upgrade to your library. You can get the password to access my library right here. You can create your own resource library using Essential Grid, which I love. Once you've published and have your link, you'll want to load it into your social media automation tool so that it'll get promoted on Twitter and Facebook. I use Meet Edgar for this, and LOVE it. I load everything into Edgar and then it just gets recycled on a promotion cycle over and over again. Even though I've loaded it into Edgar, I like to tweet it right away too. Same with Facebook. Put it on your page, or in your group. And it also goes on Instagram. I create a promotional image just for Instagram, and then I caption it with something about the article. Make sure that you're using your pinable image and that it gets onto as many board as possible. If you have some kind of a weekly newsletter, you might want to send out the link to your new article. I only do this with particularly exciting articles, but some people do it for every article on a weekly basis. Up to you. Boom, there you have it. That's the looong list of things I do before and after every blog post to make sure that it is optimized and gets promoted properly. What do you do before and after you post?